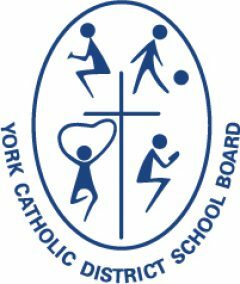 The York Catholic District School Board is the corporate body that makes policy and financial decisions for the system. Individual trustees may inform the Board of concerns or issues related to their constituents and community, and are part of the decision-making process that is the responsibility of the Board. In dealing with constituents’ requests, trustees may offer advice, direct requests to appropriate staff through the Director of Education or through the Board and seek the support of the Board when change is needed. Many requests can be dealt with by staff within existing policies and procedures. Generally speaking, the Board makes policy and the staff carries it out in detail. Board meetings are held once per month, on Tuesdays at 8:00 p.m., in the Board Room of the Catholic Education Centre, 320 Bloomington Road West, Aurora. In addition to the Regular Board Meetings, Trustees may be involved in various Standing Committees, Statutory Committees, and Ad Hoc/Sub-Committees. The Chair and the Vice-Chair of the Board are elected annually at the Inaugural Meeting of the Board, held in December. Using the formula specified in the Ontario Regulation 357/06 for calculating the limits on honoraria paid under the Education Act (S. 191), the honorarium for York Catholic District School Board Trustees is currently set at $15,416 for the period of December 1, 2017 to November 30, 2018. Allowable travel expenses to attend Board and committee meetings are reimbursed, and each trustee is authorized to expend up to $5,000 per year for the four-year term to support trustee educational development and participate in community-based and work-related communication/activities. Trustees can expect to spend an average of at least three nights a month at Board and committee meetings for most of the year. These meetings last on average from 7 p.m. until about 10 p.m. or 11 p.m. In addition, trustees may be requested to attend special events and individual school functions in the course of a year. These may include: school council meetings, school blessings, concerts, graduations, presentations to retirees, seminars and provincial Catholic trustee association meetings. Trustees may also be appointed to represent the Board on such bodies as traffic safety committees, boards of health, municipal planning committees and Ministry of Education committees. Trustees are expected to read many reports, agendas and minutes in preparation for meetings. A reasonable estimate for this work would be 8-10 hours per month. Trustees may receive a significant number of calls from their constituents. The above declaration and oath are to be taken by every person elected or appointed to a board on or before the day fixed for the first meeting of the board after his/her election or appointment or on or before the first meeting he/she attends, and in default he/she shall be deemed to have resigned. They are to be filed with the Secretary of the Board within eight days after the making or taking thereof. Section 209, Education Act. If a member of a board is convicted of an indictable offence, or absents himself or herself without being authorized by resolution entered in the minutes from three consecutive regular meetings of the board, or ceases to hold the qualifications required to act as a member of the board, the member thereby vacates his or her seat. Section 228, Education Act. Trustees, along with school board employees, must observe the requirements of the municipal Freedom of Information and Protection of Privacy Act. Part II of the act specifies the rules for protection of individual privacy, including the use and disclosure of personal information that trustees have access to as a result of their membership on the York Catholic District School Board of Trustees. All personal information as defined in the act must be protected and kept confidential by trustees. Definitions and exemptions related to personal information may be found in the act and are also available from the Board’s Freedom of Information and Privacy Services Administrator at extension 13848. Wilful disclosure of personal information by a trustee in contravention of the act is an offence, and upon conviction, a personal fine of up to $5,000 can be levied. In particular, trustees are expected to maintain strict confidentiality around any issue that is dealt with in Private Sessionfootnote *. Considerable discretion is required at all times. In Private Session, trustees are bound by the pupil records secrecy provisions of the Education Act, and the privacy provisions of the municipal Freedom of Information and Protection of Privacy Act in their official capacity as trustee and Board member. The local government Disclosure of Interest Act also applies to school board trustees. Return to footnote * referrer Private Session means with the public excluded. Items dealing with negotiations; security; acquisition or disposal of property; litigation; and intimate, personal or financial information related to an employee, a pupil and/or his/her parent are dealt with this way to ensure confidentiality.